This website is operated by AdvantiPro GmbH (for further details, please see above), hereinafter referred to as “AdvantiPro”. This site shall be made available to its users on the basis of these terms and conditions of use. Please read through these carefully. These general terms and conditions of use shall apply to all offers of this Internet portal, as well as to all additions and changes. Our General Terms and Conditions of Use apply exclusively. To the extent that specific services or performance should be offered on www.stuttgartcitizen.com (e.g. yellow pages or marketing of advertising banners), additional specific terms and conditions of use shall apply. If services or performance are provided by cooperation partners or third parties, AdvantiPro has no influence on these and shall also not become the contracting party in this respect. The user shall be separately advised of this. If services or performance by third parties should be mediated via www.advantipro.de, contractual relationships shall only arise between the user and the third party. The offers and services of www.stuttgartcitizen.com are freely accessible to anyone. As soon as individual services are subject to a charge, you shall be notified of this in good time and explicitly. For the use of specific services, the user must register in advance, by providing his/her personal details. AdvantiPro reserves the right to only provide individual services and offers to users of full age. AdvantiPro is entitled to change, amend and temporarily or finally discontinue the offers and services of www.stuttgartcitizen.com at any time. To the extent that the user has made use of specific services or offers, the relevant designated cancellation rules shall apply. AdvantiPro shall endeavour to make access to www.stuttgartcitizen.com available 24 hours a day, within the scope of its technical and organisational possibilities. Due to maintenance work, system disruptions or force majeure, the accessibility of the portal or individual offers and services may be limited or fully cancelled. 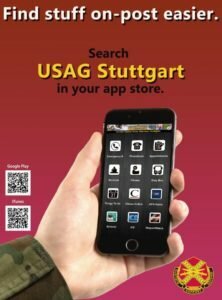 The users shall have no claim to constant, non-disrupted accessibility to the www.stuttgartcitizen.com portal or individual offers and services. The user is obligated to observe the legal regulations and not to use the offers and services of www.stuttgartcitizen.com for illegal purposes. Any dissemination and transmission of content that is illegal, specifically pornographic, violence-glorifying, discriminating or immoral shall be prohibited. The offers and services of www.stuttgartcitizen.com may not be used for commercial purposes, the mass, unsolicited sending of content (spamming) is specifically prohibited. The same applies for actions of the user, which are suited to impairment the offers and services of www.stuttgartcitizen.com or to render them unfit for use. The user shall be obligated to compensate AdvantiPro for all losses resulting from an infringement of the stated duties or rights of third parties; these also include collateral losses and financial losses. The user shall indemnify AdvantiPro for all claims by third parties, which arise from this infringement. In the case of an infringement of these terms and conditions of use, or justified suspicion of infringement, AdvantiPro shall be entitled to bar the user from accessing the offers and services, without further notification and justification. AdvantiPro endeavours to ensure the correctness, completeness and topicality of the content, information and services published in www.stuttgartcitizen.com. However, AdvantiPro cannot assume any guarantee for this. A great deal of the content, information and services in www.stuttgartcitizen.com is provided by partners of AdvantiPro or third parties. This particularly applies to the content of our advertising customers. These also do not assume any guarantee for the correctness, completeness and topicality, to the extent that nothing different arises from their terms and conditions of use. The responsibility for external content fundamentally lies solely with the provider. AdvantiPro shall assume no liability or guarantee for this external content. External content shall be identified by source details, comments such as “powered by” or – as also with the stated partners – the logo. If the user should reach external Internet sites via links in www.stuttgartcitizen.com, the responsibility shall also lie exclusively with the providers of these sites. AdvantiPro shall not adopt the content of these sites. AdvantiPro shall ensure that no illegal content is found on the linked sites at the time of the link being established. In the event that users nevertheless find illegal content on the linked sites, we kindly request a brief notification, providing the URL, in order to investigate this and initiate further steps, if necessary. AdvantiPro shall not be held liable for simple negligence, if contractual obligations have been infringed, which are not cardinal obligations. With simple negligent infringement of material contractual obligations (cardinal obligations), AdvantiPro shall only have limited liability for the typical and foreseeable loss. The aforementioned liability limitation shall not apply to culpable injury to life, limb or health, as well as in the case of a legal guarantee liability. Liability regardless of negligence or fault pursuant to the Product Liability Act shall also remain unaffected. These liability regulations shall apply for all claims, regardless of their cause. AdvantiPro shall observe the legal data protection regulations. User data shall be treated confidentially. Forwarding to third parties shall only take place, to the extent that it is permitted by data protection regulations or the user providing his/her consent. All content, information, pictures, databases and services published in www.stuttgartcitizen.com are protected by copyright. Only personal, private use is permitted. Any further use, particularly commercial duplication, dissemination or publication for commercial purposes is prohibited. The same shall apply for the incorporation and/or portrayal of websites belonging to www.stuttgartcitizen.com by means of a hyperlink (framing). Infringements shall be pursued by AdvantiPro under civil and/or criminal law. The general terms and conditions of use can be changed by AdvantiPro at any time. The legal jurisdiction is Zweibrücken, provided that the customer is a businessperson, a legal entity under public law or a separate fund under public law. In addition to this, AdvantiPro GmbH, Europaallee 3, D-67657 Kaiserslautern also has the right to pursue legal action at any other admissible legal jurisdiction of the customer. The law of the Federal Republic of Germany shall apply, excluding the UN Convention on Contracts for the International Sale of Goods. If a provision of these general terms and conditions of use should be or become fully or partially invalid, the remaining provisions shall remain unaffected.